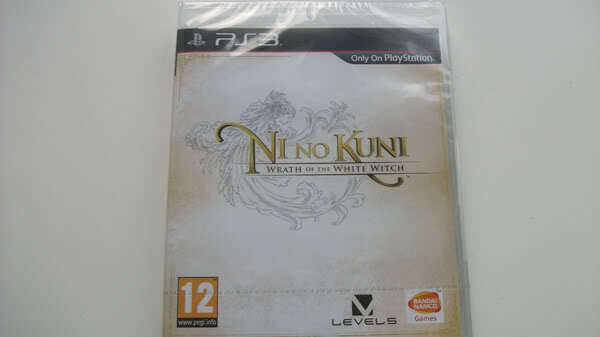 Ni no Kuni is here! It arrived today, just like I hoped it would!! Woohoo! Installing the game data right now and I’ll precoded to make some breakfast, haven’t eaten a thing yet today. Now it’s going to be real interesting to see what I think about this game, I’ve waited so long for this. I am feeling somewhat better today, so it’s back to work tomorrow. And then I can spend the entire weekend with Ni no Kuni. But now I am off to play! 500 posts!! I’ll keep going! 8 responses on Ni no Kuni is here! Yup, feels great to have been gaming so much these last three days, although I didn’t get to game all that I wanted yesterday, because I had to fix certain things. I keep hearing the music in my head and I think about all the quests and other things I have to do. ^^ So much fun. How many hours have you played so far? Im 43 hours in myself but it stopped there. Why you ask? I got 2 words for ya. Ska du på Anime the concert nu i mars? Oh, it’s been released in the US now? You have to tell me about it later, I’m somewhat interested in it.